Philips Sonicare Toothbrushes ensure you’re getting more out of your brushing time. It’s important to brush twice a day and floss once a day to maintain good oral health. And choosing to use Philips Sonicare toothbrush will make the most of your brushing time. Philips Sonicare toothbrushes reach hard-to-reach parts of your mouth. The head can be positioned to reach wherever you need it to accurately. They are ideal for achieving better oral health. The best reason for using Philips Sonicare toothbrushes is their fluid-dynamic cleaning action. The bristles vibrate at the rate of 31,000 brush-strokes-per-minute. This creates additional cleansing action that reaches beyond where the bristles actually touch. View the different Sonicare toothbrush styles here: www.usa.philips.com. Read animatedteeth.com’s overview of Sonicare’s best toothbrushes here: Which Is The Best Sonicare Toothbrush? Good oral health is maintained best by brushing in the morning after breakfast and then again just before bed. It’s important to brush before bed because saliva glands turn off while you sleep. And bacteria thrive in a dry environment! When you brush right before bed, you will remove plaque that has built up on your teeth that day. It will also minimize discoloration of your teeth. Brush for at least two minutes or more each time you brush to remove plaque buildup and prevent gingivitis. If you’re struggling with plaque or gingivitis, treat the problem swiftly with a Philips Sonicare toothbrush. Brushing longer and more frequently for two weeks should improve your oral health. 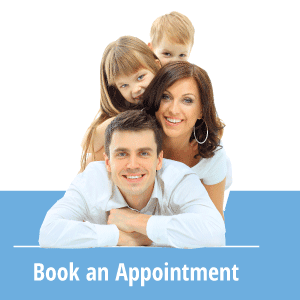 If problems persist, call Sherwood Dental at (780) 464-4166 today and schedule an appointment. Philips Sonicare is the brand you can trust for a superb clean and recommended by Sherwood Dental. We are the top dental seller of Philips Sonicare toothbrushes in all of Northern Alberta. Our office offers Philips Sonicare toothbrushes for the best price around. We offer them at cost to our patients! We want our patients to experience how awesome they are! 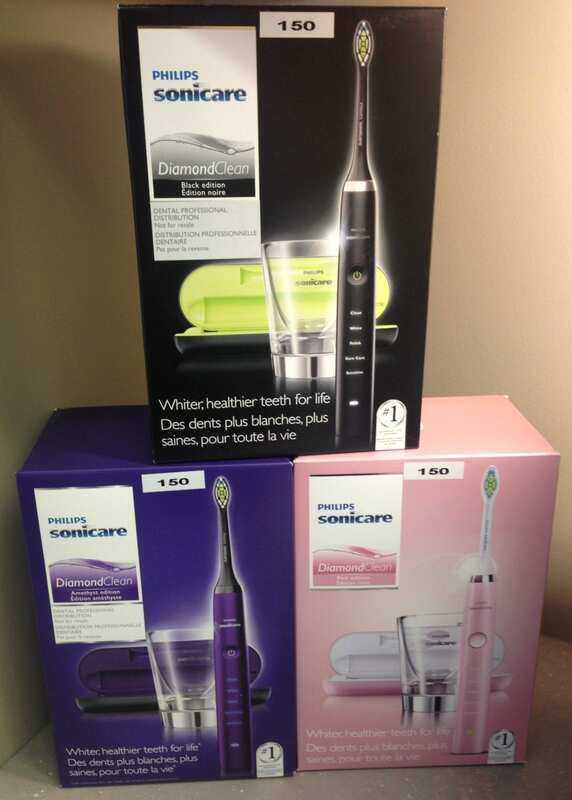 We now offer Sonicare toothbrushes in three unique colors – purple, pink, black – just in time for Christmas!